When I started Imagine in 2004, my vision was all about building a world-changing sales advisory, coaching and training company. I wanted to change how B2B salespeople sold. Frankly, I was sick and tired of the bad names salespeople had earned (what profession is best suited for a liar, and so on). I had spent 15 years starting and working with small and mid-sized businesses (SMBs) and I was totally frustrated with the opportunities and potential that was lost because they couldn’t master the sales process. I was pretty confident that I’d be able to do this. After all, I had always had great success selling. I’d studied the sales process at a level that few people could match, and when providing advice and guidance to my friends that owned a business, I had always seen success. So we developed training programs, workflows and processes that would enable SMBs to hire, manage and build a quota-busting sales team. Needless to say, the aspect of managing the change in process was far more challenging than I had ever anticipated, but that didn’t turn out to be our biggest challenge. While we implemented (and still use) some really good process designs and sales tools, we found that no matter what we did or how hard we or the salespeople we advised worked, we were always falling a bit behind. It was probably the most frustrating experience I’ve ever had. We were doing work we were proud of that our clients liked and they appreciated what we were doing; but we could never gain the consistent progress or results we desired. Clearly there was something wrong. This led to an intensive research effort to determine what companies who were able to scale growth were doing against other companies who weren’t. What we discovered was enlightening. We found that they weren’t doing anything much different in the actual sales process, and in many ways were selling in ways that were inferior to the more sophisticated approaches we were implementing with our clients. What was different was how they handled the top of the marketing funnel and the sophistication with which they managed the middle. 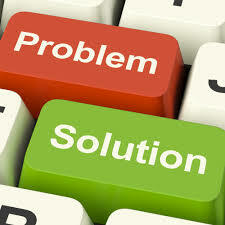 These companies identified that the cause of the sales problem occurs before your sales process even starts. The bottom line is that if you’re trying to improve your sales results and your’e focusing primarily on your sales process, you’re not going to get very far. You see, the customer has fundamentally changed the way they process information, analyze situations, evaluate opportunities and select vendors. The barrier is that most SMBs (and larger organizations) haven’t changed the way they go-to-market to adapt to the Zero-Moment-of-Truth (ZMOT). In the ZMOT, the customer is in complete control of their experience. Only those organizations that resonate with them, and meet them where they are in their buying process, get any access. Organizations that only allow knowledge exchange to occur through their salespeople and left completely out of the picture. For the most part, they’re ignored as an option; and if they are considered, the only opportunity they have to win is by offering lower prices. If your first opportunity to differentiate your company and demonstrate your value occurs when the prospect talks to your sales rep – YOU LOSE! Volume. In most cases when we analyze a company’s efforts, we find that they need to increase their lead generation volume by 10x or more. If you’re looking to create predictable, sustainable and scalable growth you cannot have a small top of your funnel. Sure, you’ll get some leads that don’t belong, but the next two points will address that concern. Quality. Volume and quality are not mutually exclusive, quite the opposite. There are two parts to improving the quality of your leads. First, you must be clear on who you are targeting. This means that everything you do is guided by the buyer personas you have created. Nurture. The second part of increasing the quality of your leads is to ensure that you have an effective nurturing process to guide your prospects as they move through their buying journey. When you’ve got an effective lead generation and management process in place, many of the sales challenges that you’re dealing with simply disappear; those challenges that don’t become more defined and easier to solve. The result is a predictable and sustainable system that enables you to scale growth profitably.